Old Oaks was originally a manor house in the 1890s and remained that way until it came into club ownership in 1925. The club consists of the 80,000 square foot clubhouse a ballroom, member grill room, pool area, dining room, two outdoor terraces, outdoor fountain garden, and an arbor garden. The club also has tennis courts, a golf course, an Olympic-size swimming pool, a 10 acre driving range, 16 resident suites, and five cottages. New York City is a 30-minute train ride away! Free housing! This is a great opportunity to train at a high end country club in the northeast part of the United States. The club is in Cape Cod. 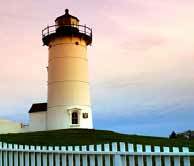 Cape Cod is a summer destination frequented by thousands of tourists every summer. The lively city of Boston is 1 ½ hours away. 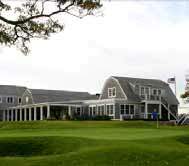 The Woods Hole Golf Club is situated high on the Cape Cod hillside overlooking Buzzards Bay. It is marked by rolling hills, sweeping fairways, and dramatic water views. In more than its 100 year history, The Woods Hole Golf Club is today a very modern club enjoyed by a diverse membership of local and seasonal residents. The Hilton Oceanfront Resort is located on Hilton Head Island, off the southeastern tip of South Carolina. 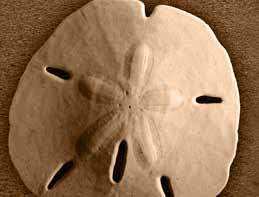 Hilton Head Island is among the world’s premier resort islands and has over 12 miles of white sand beaches. Hilton Head Island is 20 miles north of Savannah, Georgia. Hilton Head is a popular vacation destination as an estimated 2.25 million visitors come every year. 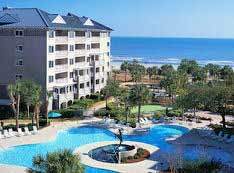 AAA 4-diamond property, the Hilton Oceanfront Resort is a 323-room full service resort property, located oceanfront within Palmetto Dunes Plantation. Palmetto Dunes Plantation is a 2,200-acre complex that includes Shelter Cove, a marina village that forms the Island’s largest yacht basin, three championship golf courses, a twenty-five court tennis center and exclusive stores. ARAMARK is a leader in professional services, providing award-winning food services and facilities management to institutions, universities, stadiums and arenas, and businesses around the world. ARAMARK was ranked number one in its industry in FORTUNE magazine’s 2011 list of “World’s Most Admired Companies”. Part of Aramark’s national parks divisions, Lake Powell Resorts & Marinas, located on American’s second largest manmade lake, is famous for outdoor activities from water sports and boating to fishing and hiking – a playground like no place on earth. Amidst a wooded landscape, The Westin Atlanta Airport has been lauded as “an oasis at the airport.” Guests enjoy the convenience of an airport location, combined with recreational opportunities that rival most suburban Atlanta Hotels. We are still accessible to all of Atlanta’s major attractions however, including the Georgia Aquarium, World of Coca-Cola and The Georgia Dome. Just 10 minutes from downtown, we’re sports fans’ SEC Championship headquarters as well! 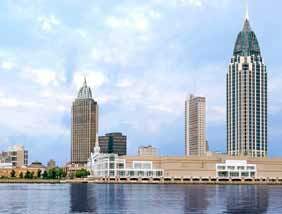 The Renaissance Mobile Riverview Plaza Hotel is a AAA, Four Diamond hotel ideally suited for business, conventions, stylish social gatherings or weekend escapes. The hotel features a contemporary design and has world-class amenities unrivaled by other Gulf Coast hotels. Featuring 363 hotels rooms and 10 suites, 2 Concierge Levels and 44,000 sq. ft., of meeting space, this premier convention hotel in downtown Mobile is connected to the Arthur Outlaw Convention Center via a skywalk. Host company pays program fees upfront, and this is then deducted from payroll over the course of the training. Hilton Garden Inn Schaumburg was the Winner of the of 2011 TripAdvisor Certificate of Excellence – based on travelers reviews! The hotel offers guestrooms that are warm and inviting, and features a new state-of-the-art meeting space, restaurant, and fitness center. 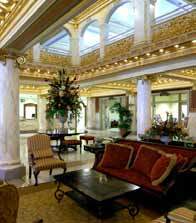 The hotel is popular with families and business travelers and is a 35-minute drive to downtown Chicago. ARAMARK is a leader in professional services, providing award-winning food services and facilities management to institutions, universities, stadiums and arenas, and businesses around the world. ARAMARK was ranked number one in its industry in FORTUNE magazine’s 2011 list of “World’s Most Admired Companies”. Mesa Verde National Park, where Aramark is the concessionaire, is one of America’s most scenic and iconic locations and a World Heritage site. Perched high in Southwest Colorado where the air is thin, the history is rich, and views are spectacular, Mesa Verde offers outdoor activities galore including hiking and biking trails, horseback riding, river rafting and kayaking, fishing, and golfing. ARAMARK is a leader in professional services, providing award-winning food services and facilities management to institutions, universities, stadiums and arenas, and businesses around the world. ARAMARK was ranked number one in its industry in FORTUNE magazine’s 2011 list of “World’s Most Admired Companies”. Park of Aramark’s national parks divisions, Lake Powell Resorts & Marinas, located on American’s second largest manmade lake, is famous for outdoor activities from water sports and boating to fishing and hiking – a playground like no place on earth.